The 7778 is part of Channel Master's high-performance Titan 2 series of mast-mounted preamplifiers. The 7778 is part of Channel Master's high-performance Titan 2 series of mast-mounted preamplifiers. Its low-noise, medium-gain design can solve a number of reception problems, and is especially effective for long-range "deep-fringe" applications used in combination with Channel Master's 4228 antenna. 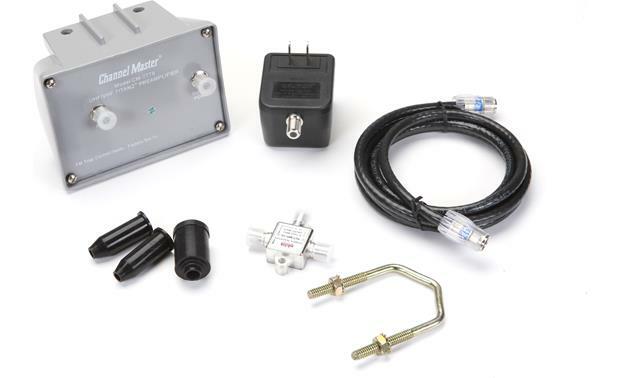 Two-piece mast-mounted preamplifiers have an advantage over more typical one-piece in-line units because the amplifier module is mounted near the antenna itself, to eliminate amplification of any noise or interference in your coax cable. A preamplifier can improve reception whether the problem is weak signal strength at your antenna, or loss of signal quality due to a long cable run between your antenna and TV. Installation is simple: run a length of RG-6 cable from your antenna to the 7778's amplifier module, and another RG-6 cable from the amp to the 7778's power supply. Power is provided to the amplifier via the RG-6 cable, so no other wiring is necessary, and the power supply can be placed indoors to avoid exposure to the elements. Finally, run a length of RG-6 from the power supply either directly to your TV, or to a video distribution hub. It does a great job, but I gave it 4 stars because I think there should be easier access to the FM Trap, you might want to change the setting later, you don't want to be climbing on the roof to change it. Will this preamp work with other brands of antennas? Overview: The Channel Master Titan 2 Model CM-7778 Mast Mounted Antenna Preamplifier provides amplification for HD and digital signals received by your antenna. Preamplifiers can also be used when distributing the antenna signal to multiple TVs, as splitters reduce the signal strength at each output. The preamplifier comes with an indoor power supply, which connects via coaxial cable. Signal Gain: The CM-7778 is a medium gain, low noise preamplifier to be used in moderate signal areas to boost the antenna signal to a viewable strength. The preamplifier provides 16 dB of signal gain on both VHF and UHF bands, at frequencies between 54 MHz and 1000 MHz. Note: For areas with weak signal strength, where ALL broadcast towers are 80+ miles away, the CM-7777 High Gain Preamplifier may be recommended. Case: The CM-7778 features a rugged, outdoor-rated housing that can withstand temperatures up to 140°F. The preamplifier mounts to the antenna mast with the supplied U-bolt assembly just below the antenna. 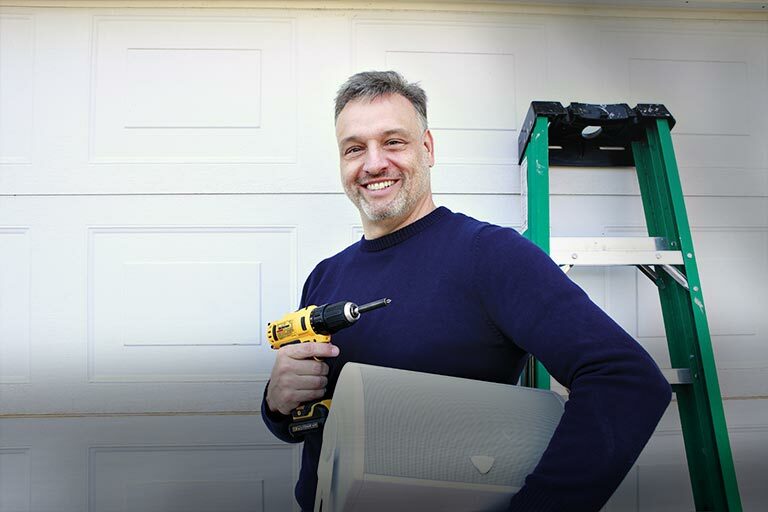 The unit mounts with the connections facing downward to keep moisture out of the housing and the connections dry. Connections: The CM-7778 has two F-type 75-ohm connections at the preamplifier: a combined VHF/UHF input, and an output/power connection. 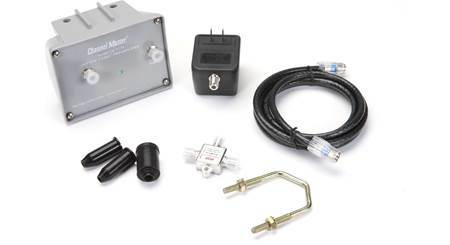 The indoor power supply (AC adapter) connects via coaxial cable, and includes a power inserter to energize the mast-mounted amplifier along the cable. Yes it will. Just make sure the antenna terminates with a 75 ohm F style connection. Your antenna vendor will have a small transformer with one end that connects to the antenna itself, and the other side has the F-style connector for 75 ohm output. As long as the antenna will receive Over the air TV stations.. UHF and VHF signals. It works great ! Yes, it will work with any brand. To my knowledge it will work with any OTA TV antenna that doesn't already have a built-in preamp. 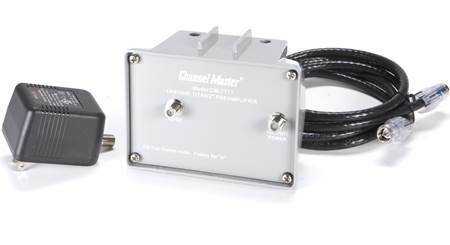 Searches related to the Channel Master 7778 Medium-gain mast-mount UHF/VHF TV antenna preamp.